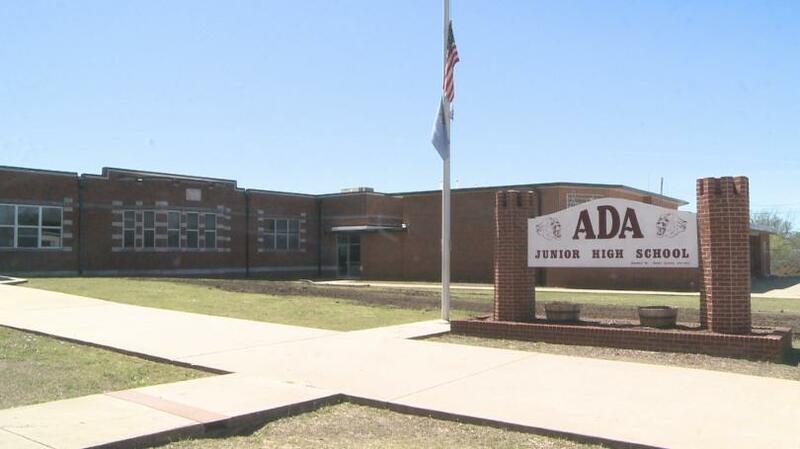 Ada Junior High School is a 7th, 8th, and 9th grade center that currently serves 550 students. Known for quality academic programs and strong extra-curricular activities, the school also works to encourage individual responsibility and positive character growth. Ada Junior High School fosters a positive environment for meeting the changing social, emotional, intellectual, and physical needs of students during the transition years between elementary and high school. Ada Junior High School proudly implements the Triple C program (Cool Cougar Character), a program that recognizes students for positive actions and strong personal character. Triple C recipients are recognized at monthly assemblies. Teachers are also regularly recognized for outstanding work. Ada Junior High's goal is to build college and career ready students, and to that end, the school currently implements the AVID College/Career Readiness System as well as GEAR Up! Both programs work with teachers and students to increase the number of students who enroll in post-secondary educational opportunities. At Ada Junior High School, we believe that all students can learn, and we work diligently to ensure that each student has the opportunity to achieve success.